Cartier describes the Cartier Santos Demoiselle WF9011Z8 Women’s watch as, “A tribute to Santos-Dumont’s famous aeroplane called ”The Demoiselle”. 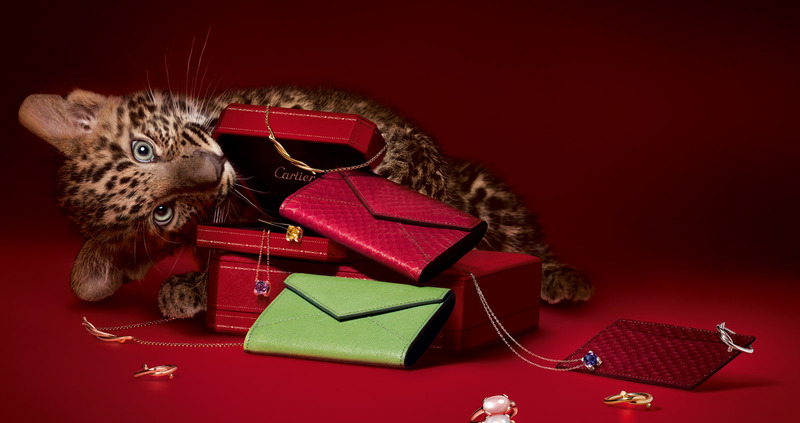 Energy, elegance and refinement for women with character.” I think Cartier really hit the nail on the head with that description. The solid 18K pink gold case and bracelet demonstrate the watches value and elegance, while the diamond incrusted case, bezel and crown ad a beautiful energy and clear refinement that can’t be missed. This timepiece is perfect for any woman that wants to show off the beauty and elegance of a Cartier watch, or in other words, perfect for a woman with character. Roman numerals are used on the silver grained watch dial, which is covered by a scratch resistant sapphire crystal which is the most durable, expensive covering available. This timepiece is also water resistant up to 30 meters which makes it suitable to wear in the rain, washing your car or even during light, recreational swimming. I love that this watch is water resistant, because while you may not think to wear it around water, the water resistance allows you some flexibility when deciding to wear the watch or not. You don’t need to worry if it’s going to rain or if the watch may somehow get splashed, it’s safe. The Cartier Santos Demoiselle WF9011Z8 women’s watch really has everything most people would look for in a timepiece, and more. It’s elegant, easy to read and made from the highest quality materials. The diamonds ad that extra pop that make this watch truly eye-catching and special. Cartier spared no expense in the creation of this watch and that really shows with all of the amazing materials that were used. This biggest issue with this watch is the price. If you’re looking for 18K gold and diamonds and the highest quality materials this watch is certainly for you, it is not for you though, if you’re not willing to pay the price for these great components. If price is no option, or you were planning on spending tens of thousands of dollars on your watch, I highly recommend the Cartier Santos Demoiselle WF9011Z8 women’s watch. It’s sleek, simple style insure that it will be popular for years to come, and the diamonds give it that extra sparkle that really make it shine.